Waking up to cold and freezing temperature in Bandung? This city never stops offering you cuisine options, not only in the afternoon or evening but also early in the morning. Here, we recommend you five mouthwatering breakfast in Bandung that will start your terrific day. Surely all these are halal! The Chicken Congee is almost anywhere in Bandung. 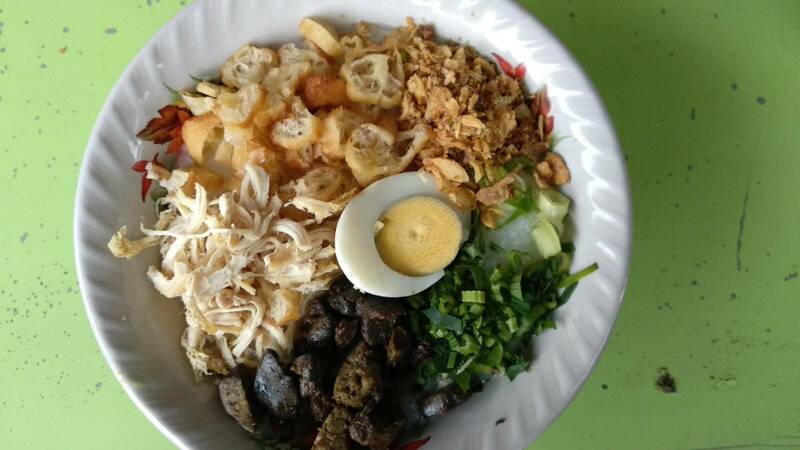 So, the real challenge here is – where exactly is the best Chicken Congee in Bandung? 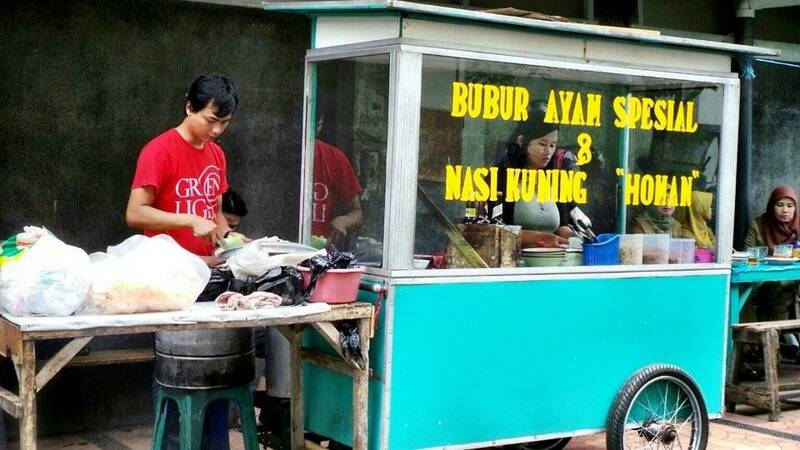 Here, in Lembang, West Bandung Regency, we tasted the best chicken congee stall that serves a pretty big portion and tastes absolutely amazing. The congee has a thick consistency with shredded chicken, boiled eggs, chicken hearts and gizzards as toppings as well as some fried onions as garnishing. The Chicken Congee is served hot which feels absolutely amazing for breakfast. At IDR 12,000, the Chicken Congee is served with free crackers and hot tea. Actually, we are not moving anywhere from the first stall who serves Chicken Congee. The same stall also offers Lontong Kari or in English, we perhaps can call it Curry Rice Cake. If you are looking for a meaty-breakfast, this stall is an excellent choice for you. 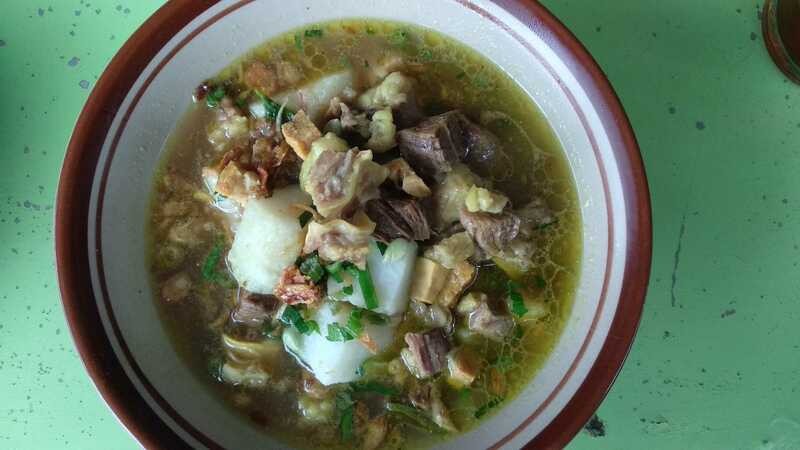 In a bowl of Lontong Kari, you'll find three things – beef broth, shredded beef, and rice cake. The beef broth is amazing! Get a warm bowl of Lontong Kari at IDR 15,000 each for your breakfast or even brunch. Bread is also a common choice for breakfast. 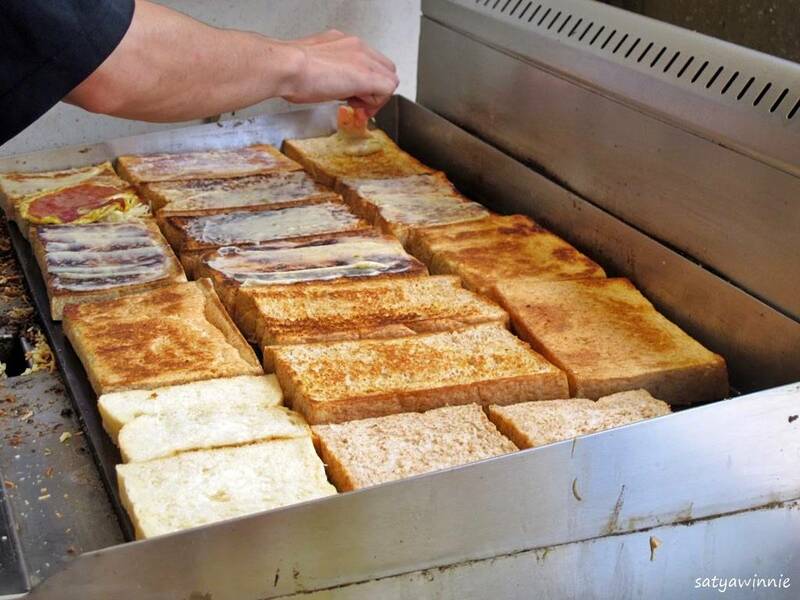 Here at Roti Gempol restaurant, they have toast as the primary menu. The restaurant serves various fillings such as peanut butter, chocolate, smoked beef, eggs, and cheese. There are two choices of bread here, white bread and wheat bread. However, the wheat bread has a is served in a bigger portion than the white one. The wheat bread will be toasted for several minutes until the colors turn golden brown until crispy. Prices start from IDR 16,000 to IDR 30,000. Note: Long queues on Saturdays and Sundays. Located near Savoy Homan Hotel, Nasi Kuning Homan or perhaps Homan Yellow Rice is not a restaurant but just a cart with a simple tent stall. The seller provides several long tables and wooden chairs that can accommodate up to 10 people. Although the place is really simple, the Homan Yellow Rice tastes really good! You can choose side dishes such as shredded chicken, sliced omelet, tempeh, heart and gizzard, roasted soybeans, and slices of cucumber. This filling-breakfast is worth for IDR 12,000. First of all, Petis is a traditional food seasoning in Indonesia. Petis is processed by fish or shrimp cooked until it is completely dry. It is then added with salt and brown sugar so that it tastes rather sweet. 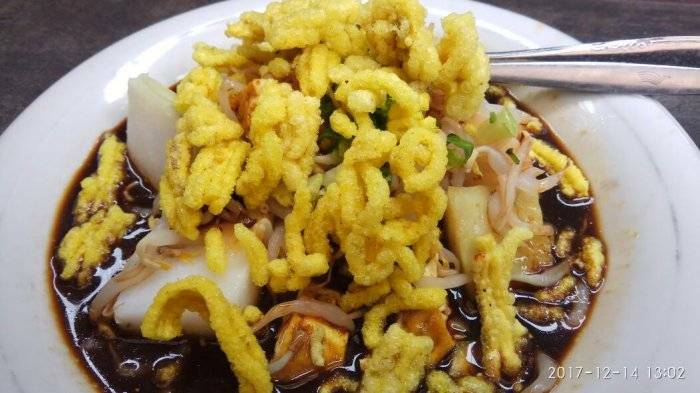 In a plate of Kupat Tahu Petis, you will find fried tofu in charcoal and cut into small pieces, added with bean sprouts, rice cake, crushed yellow crackers, and petis. The dish is served with peanut sauce. While Kupat Tahu Sayur is similar but it is served with broth instead of the peanut sauce. You only need to pay IDR 17,000 for each plate of Kupat Tahu Petis or Kupat Tahu Sayur.